We got a fire pit from my parents last weekend And Zach wanting to have s'mores . Daddy said let's do it on Saturday there's nothing on the calendar. 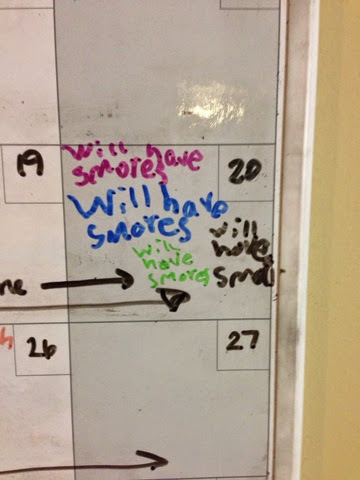 When daddy got home the next day he saw this on the calander.